Very well organized Great fun. Great tour guides. Robert (group leader) did a great job smoothing out any minor problems. (I would advise getting to tour start location a couple days early. To make sure---- You're luggage makes it off the airlines and gives a you a day or two rest/acclimation before you start the tour. We did and it took to two days for our luggage to arrive. This wasn't a Collette problem but Lufthansa.) The guided tours were long enough to be interesting and give you an idea of where you are, then you could go explore on your own. Collette and Robert provided great group meals. We have great memories of our trip. Berlin was a great city. With many sights to see. Budapest was incredibly beautiful, and a very nice walking city. Fantastic Would use them again. Never have used them before, but i would do it in a heart beat again. Had the best time. Service was very good. Everyone should try them ,won't be disappointed. Loved, loved, loved walking around Budapest and Budapest/the Danube river, bridges and lit buildings by night is a magical land. Love Collette. As an Agency owner I love working with them, particularly Lisa in the Group Department and Tracy O'Neil is the BEST DSM, Our clients always return very happy. As a consumer on the Magnificent Cities trip I loved the Itinerary and Darius our guide was very knowledgeable and fun to be with. His insight from the perspective of someone who grew up under communism really brought the history to life! Loved the tour and our tour guide Darius. His perspective growing up under communism brought history to life. Your local tour guides were excellent. The bus driver was excellent. The tour director was so-so. I liked the hotels. I liked the cities. I think I am better suited to longer stays at hotels because I am not well organized. Towards the end of the trip I couldn't find stuff in my suitcase because my packing between hotels became rather haphazard. I would prefer fewer cities and a longer stay each city. A friendlier tour manager would have made it a 5 star trip. Thank you for traveling with Collette to Europe. Your feedback will be reviewed by your tour manager's supervisor in the Tour Management department so that necessary improvements can be made. The tour manager was absolutely the best. He made the trip a wonderful experience. The tour manager was perfect, he made the trip a wonderful experience. The organisation from start to finish is very good. The tour manager was very knowledgeable. The driver was brilliant. The local guides that Collette used were very good. I thought Collette was very helpful in our phone conversations, but they gave us some misinformation which caused unnecessary stress. Several conversations with different Collette people confirmed this misinformation. Other than that and the fact that our final packet of information was delayed in getting to us, I was well pleased with Collette. We saw so much and learned so much on this tour. Our tour director could not have been better. The tour of Auschwitz and Birkenau was memorable, confirming much I had read about it. their are issues with having a special diet@ language. As always the itinerary was exactly what I was looking for. This is my third trip with Collette and the personal service from our guide and choice of very fun restaurants was exceptional. Patryk Priess was our wonderful guide so took very much care of all 40 of us without a bump in the road. He was everything anyone could want in a tour guide and more. We had a personal request in Krakow and he made some phone calls and arranged for a car so my husband could see where his parents grew up and were married. The choice of restaurants was very good as I know Collette does a lot of research on them and the folk entertainment was beautiful and a bit hilarious too. I'm very glad I did it and recommend it to others. Nice hotels, knowledgeable local guides, a good mix of group tours and alone time. This was our fifth trip with Collette. The first four were excellent, but due to several misadventures this one was lack luster in comparison. It started with having to wait at the airport in Berlin to be picked up because We did not appear on the list . We purchased the transportation package separately. We were scheduled to go on the Jewish Quarter excursion in Prague, but at the last minute we were told it was a Jewish holiday and we were not allowed to enter the Jewish Cemetary or Synagogues....but we went on a walking tour through the Jewish Quarter which we had seen via a city tour. Then we spent five hours on the bus caught in traffic. I realize this was just an unfortunate incident and could not be avoided. Several of the local guides were not up to Collette standards. They had very thick accents which made it difficult to understand, and the guide in Vienna was so monatoned Several people went to sleep on the bus tour. On the walking tour I Turned off the Whisper. Our Tour Manager Mike Jenkins, had been in Europe on tours for six weeks and it was evident he was tired and not as enthusiastic as our tour managers in the past. He did his job, but in top form. There were times we were rushed and times we had too much free time. This trip just not as well managed as it could have been. Auschwitz by far. It was a very "gut wrenching" experience, but at the same time something we should Never Forget! Thank you for traveling with Collette to the Magnificent Cities of Central and Eastern Europe. A member of the Guest Relations Team will follow up with you. This was an extremely enjoyable & historically educational tour but a lot of ground to cover in just 12 days. Bus tours are exhausting! 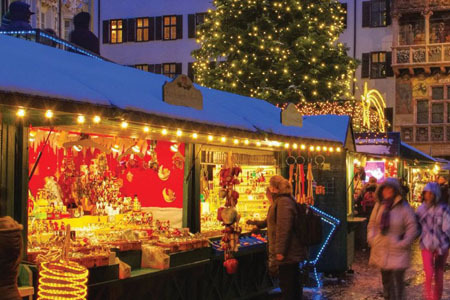 Taking the side tours really cuts into the time to explore any of these key European cities. Likewise, there were many other sites that were not offered as additional tours if interested. The Vienna dinner and music event was disappointing as it was an instrument and lip sync version of Vienna in days of old rather than a true Viennese classical concert. We felt that some side tours were lacking in precise information re: content (i.e. 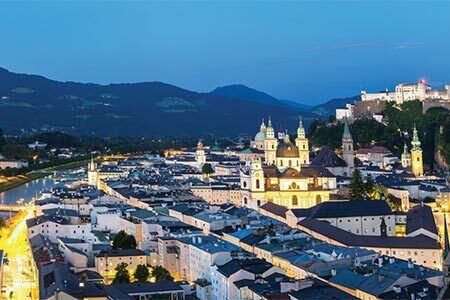 the Vienna music night, the Mozart House tour, the Dresden tour, etc.). My next tour will be on a river cruise so I can at least sleep while traveling from city to city. Very good...read my previous comments. What happened to VERY GOOD as a choice? Android phone users had difficulty connecting (and often NO connection) to internet in Prague, Budapest, Krakow and even Warsaw. Hotels or Colette did not pay attention to request for 2 beds for 2 friends traveling together. We were given one queen bed at Berlin's Intercontinental and Prague's Grandium Hotels. Unacceptable! A single female traveler was given TWO beds in her room. Tour Mgr. did not insist on bus seat rotation (at least for those who were willing to rotate). 2 female passengers were seated with 2 male travelers we didn't initially know due to a lack of referring to the travel manifest re: who was traveling with whom. Uncomfortable for days! Great communication before trip. Liked the plan of a day traveling, city tours then time on our own with options of additional tours that worked with the history /culture of each town. Very nice hotels. Most memorable day was Prague walking down from the Cathedral, nice lunch in main square then the Jewish tour. It was a good tour but it wasn’t an exceptional tour. The tour was well planned, tour guide was knowledgeable, local tour guides shared personal stories, hotels were centrally located and the breakfast had many offerings daily. The tour was well paced and we enjoyed the excursions. Our tour guide was flexible and knowledgeable, and accommodated our requests. Excellent tour with Jan as a guide. Good hotels, sites, enjoyed this tour as most participants were experienced travelers. Overall, the itinerary was good and the tour manager (Boriana) did her best to keep the tour moving smoothly. We also liked interacting with several other passengers. However, given the cost of the tour, we expected more. Here are some areas that need improvement. 1) The bus did not have WiFi, to us this was important as we wanted to stay in touch with family and friends on a long travel like this. Added to this, some of the hotels we stayed had very poor connectivity. 2) The left side of the bus had very little leg space. Though we rotated seats, one ends up on this side half the time. On long drives, this was very inconvenient especially if you are a slightly tall person. 3) The hotels in Berlin and Warsaw were excellent. But the rooms in most of the other hotels were small, with windows overlooking tiny courtyards or walls. The room in Holiday Inn, Krakow, had a bad smell in the bathroom but they refused to move us to another room. The same hotel did not provide coffee creamer, but wanted to charge us 5 Euros to bring it to the room. 4) We joined the evening concert at Vienna. The concert itself was good, but the restaurant where we had dinner before the concert was very poor in terms of quality of food, service and cleanliness. The toilets were overflowing and stinking. We were very surprised by the choice of this restaurant. 5) The tour guides in Dresden, Warsaw and Vienna were just about average. You could perhaps find better guides. Hope this feedback helps. Overall, the itinerary was good and the tour manager (Boriana) did her best to keep the tour moving smoothly. We also liked interacting with several other fellow passengers. However, given the cost of the tour, we expected more on this tour. Here are some areas that need improvement. 1) The bus did not have WiFi, to us this was important as we wanted to stay in touch with family and friends on a long travel like this. Added to this, some of the hotels we stayed had very poor connectivity. 2) The left side of the bus had very little leg space. Though we rotated seats, one ends up on this side half the time. On long drives, this was very inconvenient especially if you are a slightly tall person. 3) The hotels in Berlin and Warsaw were excellent. But the rooms in most of the other hotels were small, with windows overlooking tiny courtyards or walls. The room in Holiday Inn, Krakow, had a bad smell in the bathroom but they refused to move us to another room. The same hotel did not provide coffee creamer, but wanted to charge us 5 Euros to bring it to the room. 4) We joined the evening concert at Vienna. The concert itself was good, but the restaurant where we had dinner before the concert was very poor in terms of quality of food, service and cleanliness. The toilets were overflowing and stinking. We were very surprised by the choice of this restaurant. 5) The tour guides in Dresden and Warsaw were just about average. Perhaps you could get better guides. Hope this feedback helps. Thank you for traveling with Collette to Central and Eastern Europe. A member of the Guest Relations Team will be reaching out to discuss your feedback. Well organized. Good hotels. Great tour manager. I would use Collette again and recommend them to others. Good hotels. Great tour manager. Excellent cities and tours. Excellent tour. Needed more free time for museums and places such as Auswich. Michael was an excellent guide as were the local guides. Restaurants pretty good. I could have used one more day in each city. Excellent local guides. Great cities to visit. Excellent tour manager. Excellent guide , hotels and provided meals. Tour was excellent. Provided meals were very good. Loved Krakow. Hotel was in very convenient location one block from central square. Lovely town and very knowledgeable local guide. Great tour of Magnificent Cities! I would definitely go again! But, thinking back I’d prefer a tour that includes the tips, and has better food offered for the group dinners. The 2best dinners on the tour were the welcome and the farewell dinners. The others served so much food and so much went to waste. The tour manager and bus driver were superb as were the local guides (except the one in Potsdam). And the hotels were lovely. Two ... the concert in Vienna at the palace and the Polish evening in Krakow...and many more! Our Tour Director Patrick made our tour extra-special . He was very caring, knowledgeable, efficient, humorous, paid attention to detail and offered his own time to take us on non-scheduled walking tours and he returned to guide us back to our hotel when we were on "free time". He is truly an asset for Collette. I have been traveling for 50 years and Patrick was the best Tour Director ever. Definitely recommend and would buy from them again. Visit to Auschwitz was most impactful. Magnificent Time in Eastern Europe! Very friendly, easy to use, and always available. The cities were beautiful and Darius our guide was very knowledgeable and entertaining. The tour was great, I don't have any complaints at all. The arrangements were easy to make and the staff was very helpful. Our tour guide, Robert was very helpful and pleasant, the individual city guides were very knowledgable. One of the best things was that we had a small group, and everyone was very positive and friendly. I love learning about the history of Europe and this tour was great for that. Each city had unique things of interest, so I can't really say what I liked best. I enjoyed our meal at the Landtmann Cafe in Vienna, which our tour guide,Robert suggested,and going to one of the hot spring pools in Budapest, Robert also suggested. It was pretty easy to get around, even in our free time. excellent.....best tour guide I ever had....my only negative is that I personally do not like long rides in cars...therefore a bus tour is not a good match for me. Overall tour very good with most hotels nice 4 star. Budapest was favorite Limo service was terrible...in fact Chris Limo is so bad that if we do Collette again we will not take this Limo. Since we will not take it and cannot get a credit, the actual tour price will probably increase by at least $300 and that will be taken into account in comparing Collette vs other tours. They helped me book my, all inclusive trip, from the beginning to the end. I would rebook and recommend Collette to others who want to experience a worry-free vacation full of adventure and an experience of a lifetime. The tours were well planned and deversified. The tour guides were knowledgeable in the history of the cities we visited. The information was presented in a lively, fun & exciting format which made it enjoyable and educational. 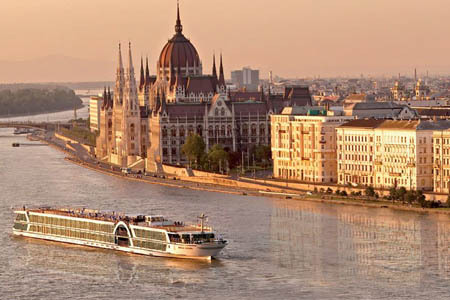 My favorite experience, was Budapest and the evening dinner, followed by a cruise down the Danube River. Our Tour Guide went all out to provide us with a complete experience, covering the history of the area, giving us a fun time shopping and filling our time with extra tours and information. Hotels had beds like clouds and good breakfast buffets. Our driver got us there in spite of the conditions and we had a nice group of interesting individuals!!! Great city tour through Europe and tour manager. Best memory was visiting Krakow, Budapest and Vienna. Wonderful company to travel with!! The people who work at the main office are awesome, polite and very knowledgeable. They are there to answer any questions that we have. Everything is planned to perfection. The hotels are fantastic! The tour guides are also very polite and knowledgeable. We have had 4 wonderful trips with Collette! Great tour! There were several different cities to see and the days were packed with activity. We saw so much history. All of the local guides were wonderful as well. They are very precise in getting to each location and city on time. Everything works like clockwork. Very precise and punctual tour. All of the optional tours were awesome and well worth the price. We loved our trip of the magnificent cities. The history, sites and excursions were wonderful. The tour guides were so knowledgeable and informative. Restaurants and hotels were very nice. The coach was very comfortable and clean and our coach driver was the best! This was our 3rd tour with Collette and we are planning on taking another one in April 2018. Thank you for making it easy to travel and not have to worry about anything. Love the door to door ground transportation to and from the airport. I am so looking forward to our next trip in April and we just got back from this trip a few short weeks ago. See you in 9 months and counting. 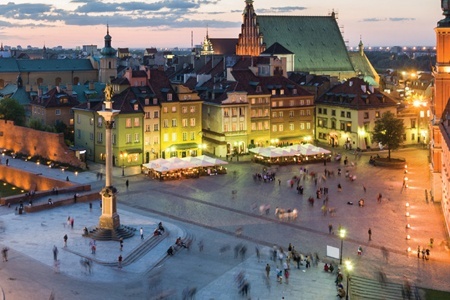 I loved it all but if I had to pick my favorite place it would be Poland. I really enjoyed Krakow and Warsaw. I love the old cities and churches. All the guides were very knowledgeable and were able to describe their cities to us so we got a good "feel" for them. However the tour to me was like a sampler of the cities. I could have used a little more free time than was possible on thus tour. We saw highlight cities. Seeing Aushwitz was a sobering experience. Excellent guide, city guides, and motor coach driver. The tour guide (personal details removed by Feefo) was very knowledgeable about the cities we visited. He knows much of the history and made the trip very interesting. He made sure the people on the tour were familiar before he let us loose. Our motor coach driver (personal details removed by Feefo) was excellent. I would trust him to drive me any where. Prague. I choose this city because it fulfilled a long time dream. Cities well worth a visit. Wonderful tour of 6 magnificent cities. Local guides were knowledgeable and the tour was well organized.....very full on, but organized. The "loss" of the fifth star is not necessarily a reflection of Collette but rather annoying events that occurred along the way: Hotel in Berlin did not advise me of the "meet and greet" meeting. Some of the entertainment during the organised meals was so loud it made it very difficult to talk with our new travel companions. The city guides often gave "information overload" in describing historical detail. The Positives: Our tour guide (Robert) demonstrated : 1) First class client care. 2) Full awareness of the cities / countries visited. 3) Sociable with a good sense of humour. All the hotels were of a good standard All the included meals faultless The coach and driver provided a safe and comfortable experience Private transfer from the airport to the hotel very efficient utilising a good quality vehicle. I loved the trip in many ways but was not happy with the hotel location in two places and because I am a foodie, I would have liked better cuisine. - too many 'folklore' restaurants where food is mediocre. Memorial and very enjoyable trip/tour!! Wonderful tours, with our tour manager for the entire trip, being outstanding!! Lovely accomedations except for the Yasmin hotel in Prague. 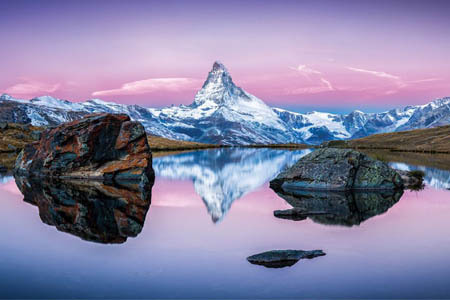 Everything about the trip met our expectations: overall quality of hotels and group dinners, tours of each city by local guides, skill and professionalism of tour guide and bus driver, amount of free time. The local guides, with only 2 exceptions, were not very good. Our return flight should have never been booked. We missed our connection in Paris, and had to be rerouted through New York, arriving home 14 hours after we were schedule to. Most memorable, but not enjoyable, was Auschwitz and Birkenau. I had learned about the history of the people of eastern Europe, but being there helped me realize how bad the conditions were during most of the 20th century. Both driver and tour guide were excellent...all hotels were pretty nice except the Jasmin Hotel who were unprepared and should not be used again...tours were great! Tour in lauded plenty of time and opportunities to shop! Excellent tour, Will do more with Collette. An excellent trip because of the manner in which the tour was handled. Very Professional. Well thought out from the moment the tour started till the finish. Entire experience was memorable. Excellent tour guide. More precise tour information in a timely manner. This tour was OK, I would have appreciated more information from the tour director on other sights to see in each city. It seemed like our mornings were filled and then we were left to shop in the Old Town Centers until the bus would pick us up. This tour was just OK, the tour manager was sometimes disorganized. I don't want to give him a "poor" but he was just OK.
Best vacation I have ever had! I had the most wonderful experience with Collette! I traveled solo through Eastern Europe. Our tour guide was a well-organized, very entertaining guide. He provided the best experience possible! All the hotels were top notch and I great appreciated the luggage pick-up/delivery service. I was truly immersed in each countries culture via local guides. This was the highlight of the trip! I also appreciated when visiting major tourist spots (Auschwitz) we had a designated tour time and were able to skip the 5 hour + wait to get in. The transportation from country to country was lovely. Beautiful Mercedes bus with powerful air con! I cannot wait to book with Collette again. Hands down worth every penny! Thank you! This tour packed a ton of experiences into 14 days! I felt like I saw so much in such a short period of time. I loved Budapest, Krakow, and Auschwitz was incredibly moving. Amazing, informative and moving tour of the cities of Central and Eastern Europe. Everything ran so smoothly which allows you to relax and enjoy. Beautiful views of Budapest from hotel balcony. Unforgettable ! Excellent service. All of my needs, no matter how small and/or seemingly insignificant, we're met promptly. Our tour manager, was key in making this a truly amazing experience. He was very knowledgeable and he was also very funny. Because of his witty anecdotes, and his great knowledge of history, I will most certainly be using College for my next vacation! A great selection of interesting programs, and very professional overall in their customer service. There were some cross wires/mixed messages about program inclusions (things that were cancelled, then "uncancelled" on the trip), and a little on the "old fashioned" side when it came to info sharing. But, they are responsive and helpful. This was an AMAZING trip - our tour manager was aces, a complete professional, and the whole thing was run like clockwork. Our driver was fantastic; the hotels were delightful; the food was incredible. The city orientation tours were the right tone and length and allowed us to explore more broadly on our own. The added on sites and experiences were really worth it. An excellent experience. 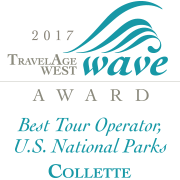 Collette is a quality travel agency. I would recommend Collette. Its a good package, but the price may deter younger people. But I am not saying that I would change anything. You are shown the best of the best without any stress. My favorite part of the trip was Poland, I was surprise to see how wonderful it was. The tour manager always had great recommendation and even scheduled multiple pick ups in the city to meet people's needs. But if you wanted to stay longer, the hotels were easy to get to, you can spend your free time doing what ever you want and get back easy to your room. The tour manager made sure you knew what to do, if even provided metro tickets and maps for some people to get back to the hotel. I think there should be an option for folks to share their name and location prior to each trip or any info about themselves. We had a large tour group. Also, I injured myself on the last day. We had an ER doctor on the trip, as well as a nurse who stated not much could be done for a broken toe. I elevated and iced and did not feel the need to be checked out by a doctor. I was never sent a copy of the report but a representative told my friend who I traveled with that I 'refused' medical attention. Not feeling it necessary at the time is different than refusing it! I should have to sign off on the report and/or be able to provide the details since the tour manager did not witness the event of the injury! I loved being able to see a lot of the cities and look forward to someday going back to a few of them! I like that there is downtime in each city but it would be great to know ahead of time when there is a guided tour, where we actually get out to take pics at and what is viewable from the bus only so that a person can better plan their downtime. A full and great experience. Very well organised tour, excellent service throughout. The tour guide was very experienced and attentive to personal requests. This tour was extensive, but gave a great overview of the countries and cities of Eastern Europe. My favourite city was Budapest. The service staff when we purchased the tickets was very helpful. I would certainly use them again. I would have preferred to have some museums included, especially in Berlin. I think 3 days in each city would be better, given the travel time between cities there really is only one full day and not enough time to explore everything. Some of the highlights of each city I missed because there wasn't enough time. Visitors are required to have travel/health insurance to travel to the Czech Republic. The health insurance must cover medical services abroad. 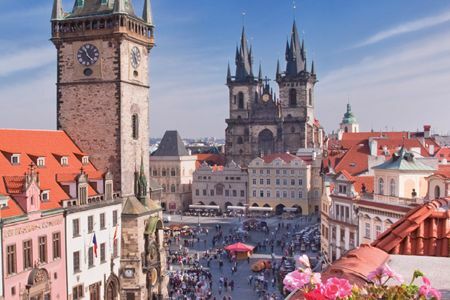 The minimum coverage of the insurance has to meet the Czech Republic standards for tourist travel. These standards can be found by contacting the Czech Republic Embassy in the US. If you have purchased our Travel Protection Plan, your coverage meets this requirement. If you opted not to purchase our travel protection, you will be required to have proof of your own coverage for the minimum insurance requirement applicable at the time of your travel to that country. We certainly encourage you to buy our comprehensive travel protection that not only covers this requirement; but also allows a full refund for cancellation any time up to the day prior to departure.